The Cleveland Cavaliers won the NBA title last season without a legitimate rim protector. Standing at 7 feet 1 inches, Timofey Mozgov was not an effective big man. 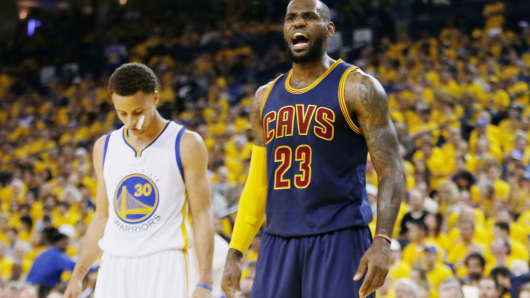 LeBron James, the quintessential positionless player, led the Cavs with 16 blocks during the Finals. Mozgov, the Cavs’ tallest player last season, was borderline useless, not being able to run the floor well for dunks or succeed in the pick and roll. He averaged five minutes per game in the Finals for a reason. 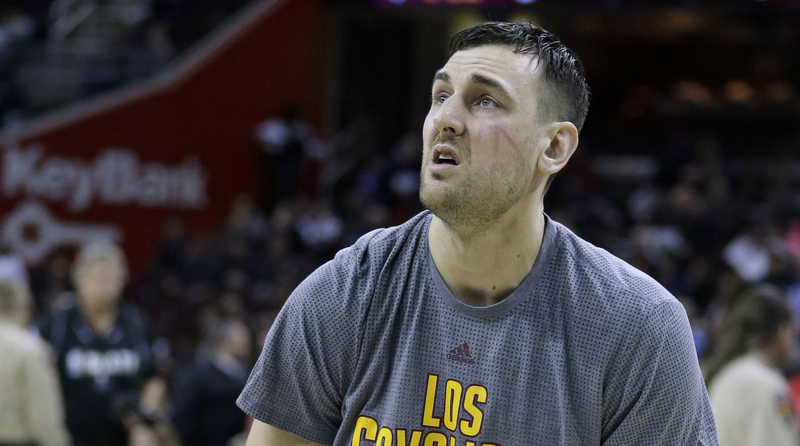 So, why did the Cavs feel as though they needed to bring in Andrew Bogut? Bogut earned a buyout with the Philadelphia 76ers after being traded from the Dallas Mavericks. The Cavs picked him up, and he made his debut Monday night against the Miami Heat. But not even playing a minute, Bogut fractured his left tibia, his leg colliding with Heat forward Okaro White. Bogut will be out indefinitely. James spoke about Bogut’s injury, saying that the Cavs were excited about adding Bogut to the roster. The Cavs were justified in being excited about their addition; adding a player of Bogut’s size is never a bad thing. But the addition wasn’t necessary. Despite Bogut’s unfortunate injury, the Cavs have big men. Not all of them are healthy, but even so, it’s the regular season; the Cavs don’t need all their big men right now. Tristan Thompson grabs rebounds, Channing Frye stretches the floor, and at 6 feet 11 inches, Frye can at least provide a big body. Kevin Love, the Cavs’ best big, has been out with a left knee injury since February. Though Love is out, the Cavs (42-20) are the top team in the Eastern Conference. The Boston Celtics are three games out of first place, and guard Isaiah Thomas hasn’t liked the team’s “experimenting” lately. The Celtics are the only team in the Eastern Conference that has a legitimate chance of dethroning the Cavs — and their chance isn’t even that high, with Thomas being the Celtics’ lone option on offense. Along with Love, the Cavs are waiting for J.R. Smith to return. Smith suffered a thumb injury in December 2016, but the Cavs are hopeful he can return soon. When Love and Smith return, the Cavs will have returned, too. For the Cavs, a team that has suffered injuries throughout the season, will be in position to win their second straight title with the team at full strength. The Cavs will have James — with him alone, anything is possible. But on top of that, they will have Kyrie Irving, Love and a bench that will perhaps be one of the best in the NBA. Frye, Richard Jefferson, Iman Shumpert, Kyle Korver and Deron Williams will be part of a second unit that will help maintain the starters’ success. Sure, the addition of Bogut was nice. But it was like buying an Xbox One when you already had a PlayStation 4. Bogut wouldn’t have been that much of a difference maker.